The Costa Blanca is one of our favourite destinations in Spain, and unsurprisingly a favourite of most. 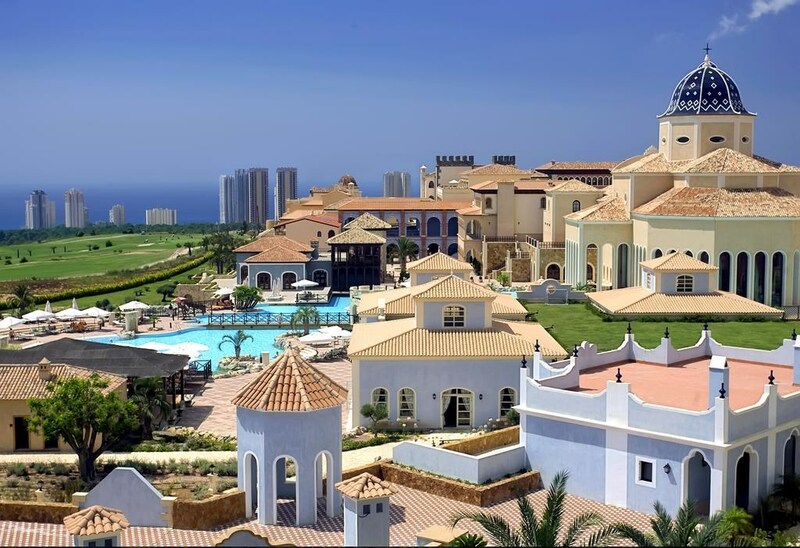 Very busy during summer due to a lively nightlife and social scene, along a long stripe of excellent beaches, Costa Blanca is a favourite destination for a golf breaks in Spain. Other than a legendary nightlife, come for the sporadically surviving fishing towns, and excellent food. Our favourite is the course at Hotel Bonalba Alicanti: undeniably one of the Best golf courses in Costa Blanca, the Bonalba golf course is home to many professional challenges and attracts over 60,000 players per year. Combined with the best of alicante’s golf hotels, a stay here is unmissable. Take a break from the game and from the party to visit one of the Costa Blanca’s few surviving fishing towns in Dénia. You’ll find a quiet town overlooked by a gorgeous Castillo. During your golf holiday to the Costa Blanca, Stop here for a taste of the quiet life, before heading back into the hustle and bustle and lights and music of Alicante. When is the best time to Golf in Costa Blanca? Spain is almost always in the double figures, so don’t worry to much about the weather. Make your decision based on your preference for crowds: for fewer people, we recommend visiting between March and May.